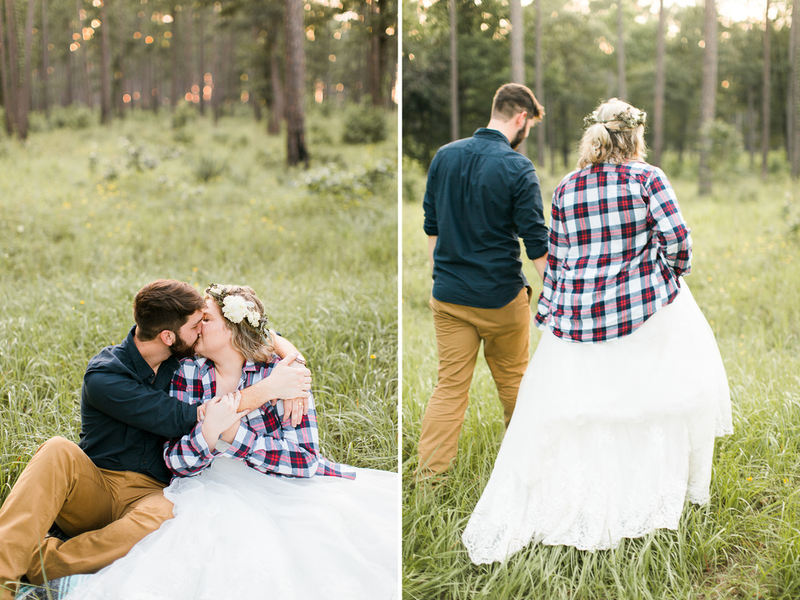 You might recognize these two from their wedding I posted last week, but this gorgeous post-wedding shoot was such a dream! 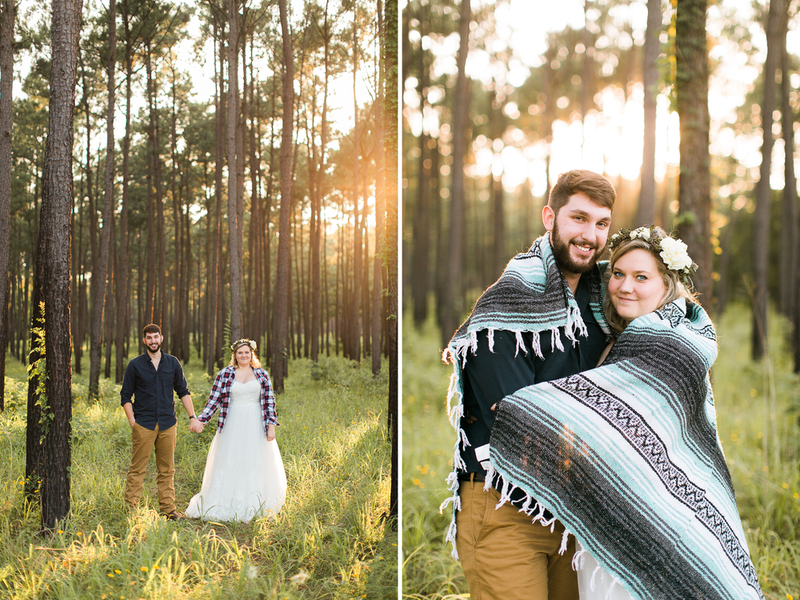 When Danielle first came to me with the idea of a day-after wedding shoot, I couldn’t have been more excited. 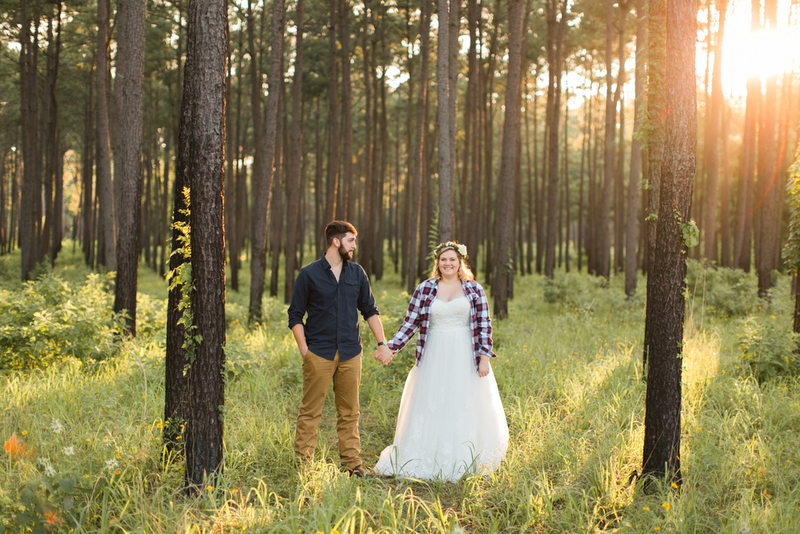 She knew her wedding day would be fast-paced and formal, so she wanted to do something different to make sure she and Andrew would end up with portraits that they felt truly represented them in a raw, natural way. 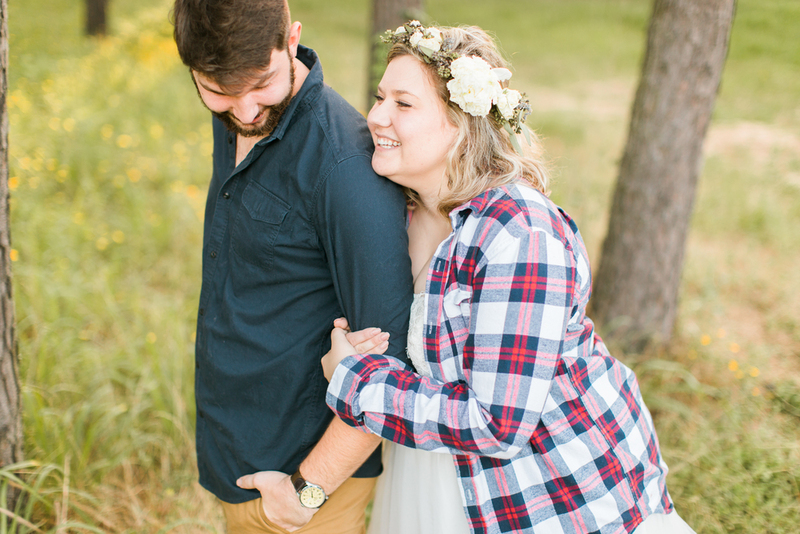 As a husband and wife photography team, we tend to grow unique friendships with our wedding couples and Danielle and Andrew were no different. 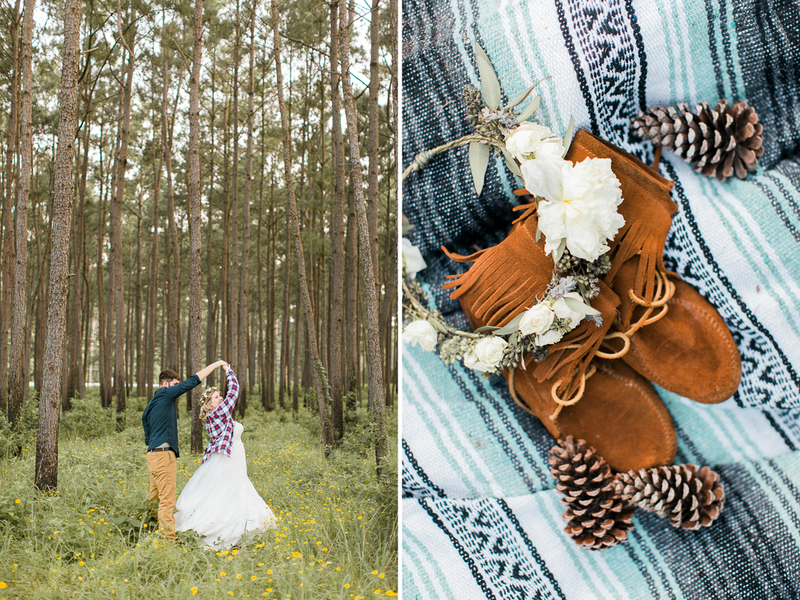 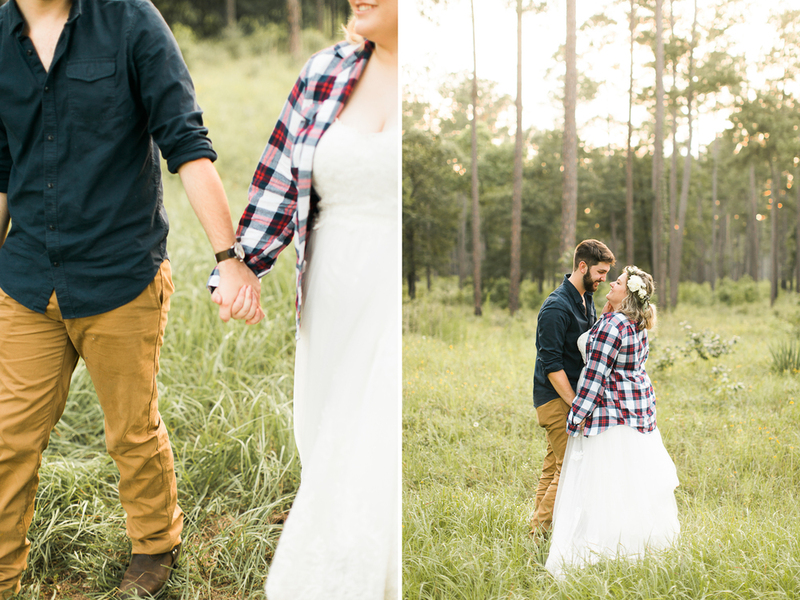 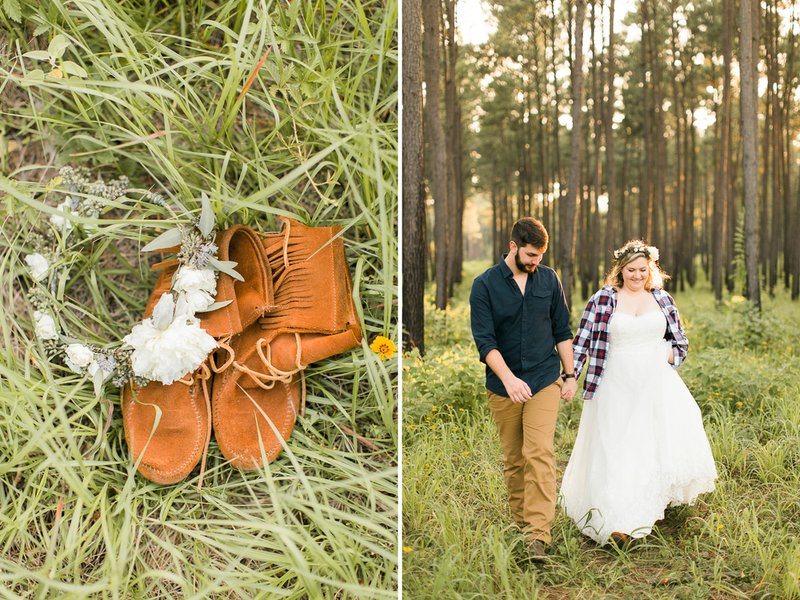 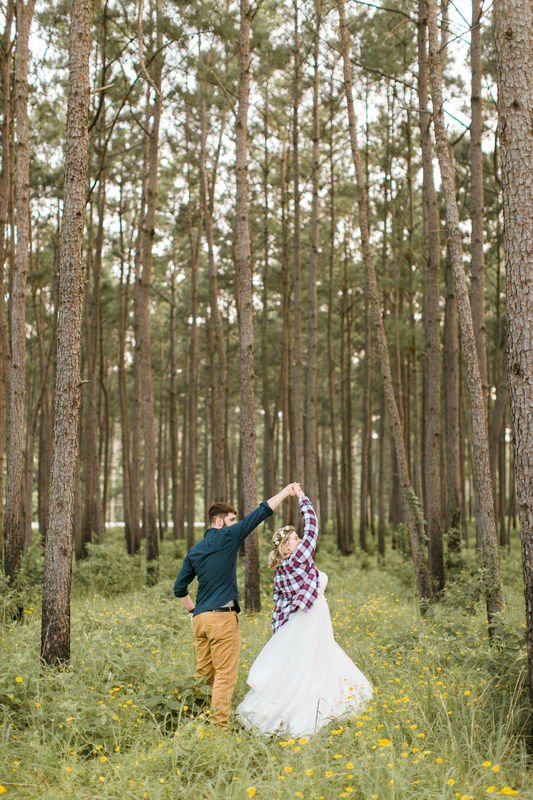 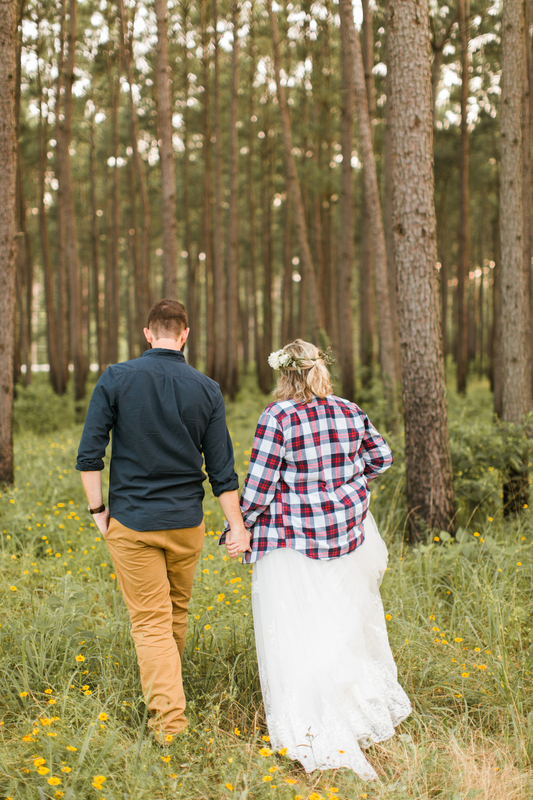 Two days after their beautiful church wedding, they has us over for dinner in their new abode before donning their wedding clothes (adding in his worn flannel and her favorite Moccasins) for an adventurous hike through the nearby state forest. 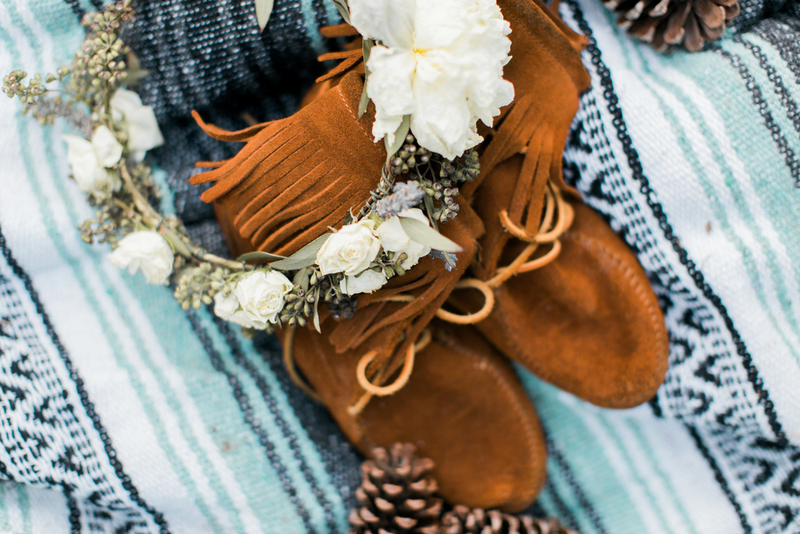 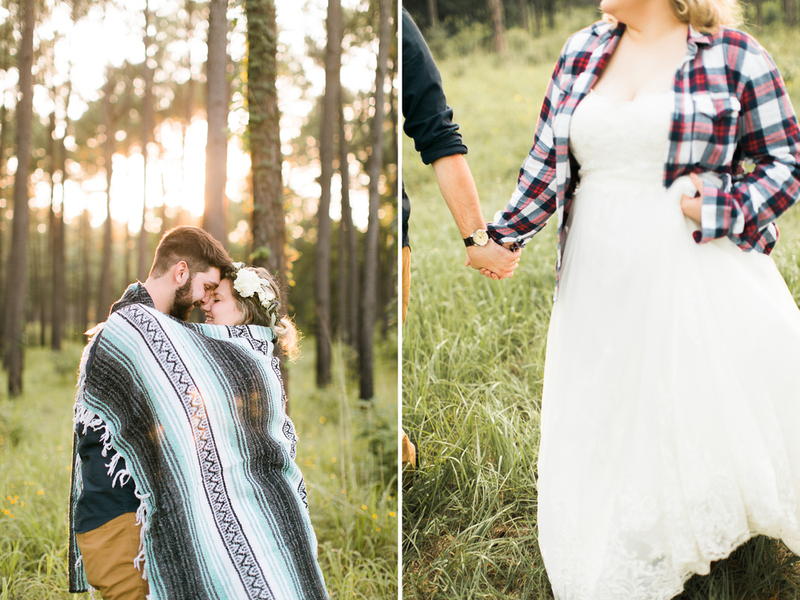 This shoot really had me thinking about a lot of couples that feel torn between the idea of a low-key intimate ceremony in the mountains (or somewhere else beautiful) and a special party that they can include their entire community in. 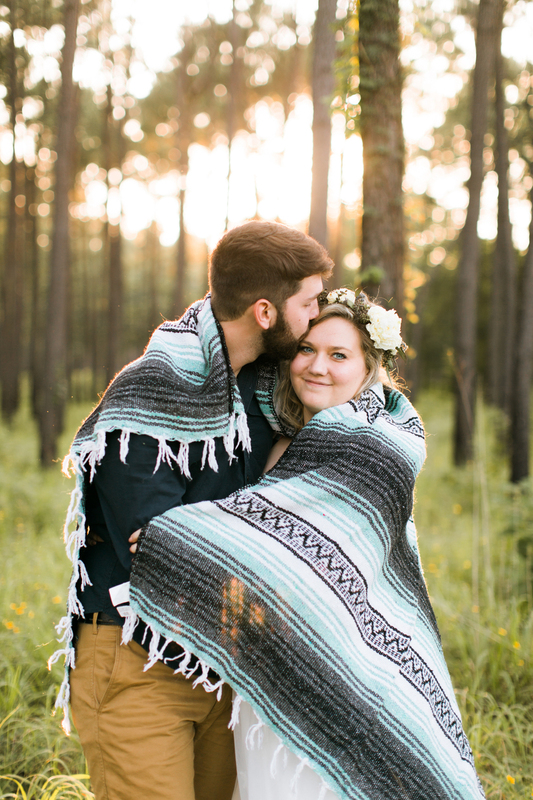 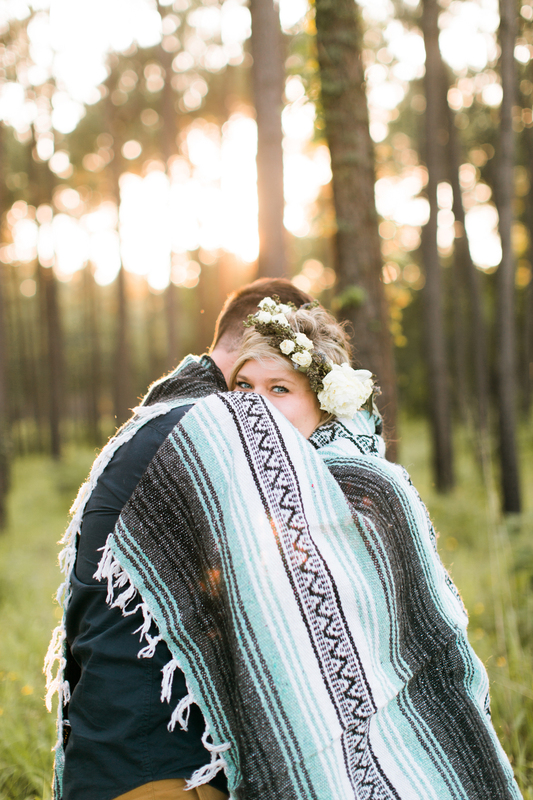 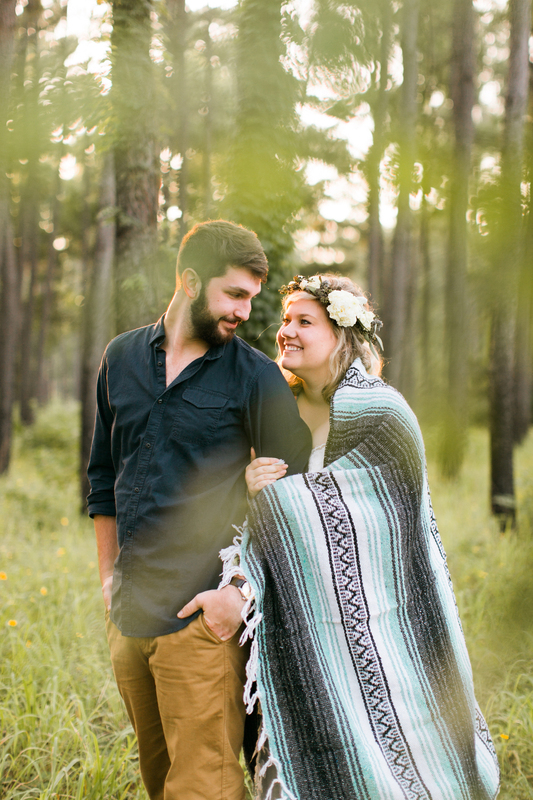 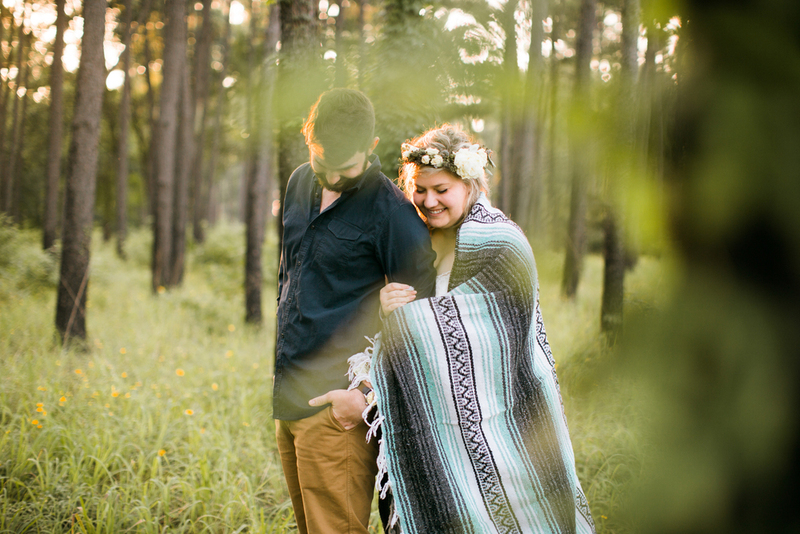 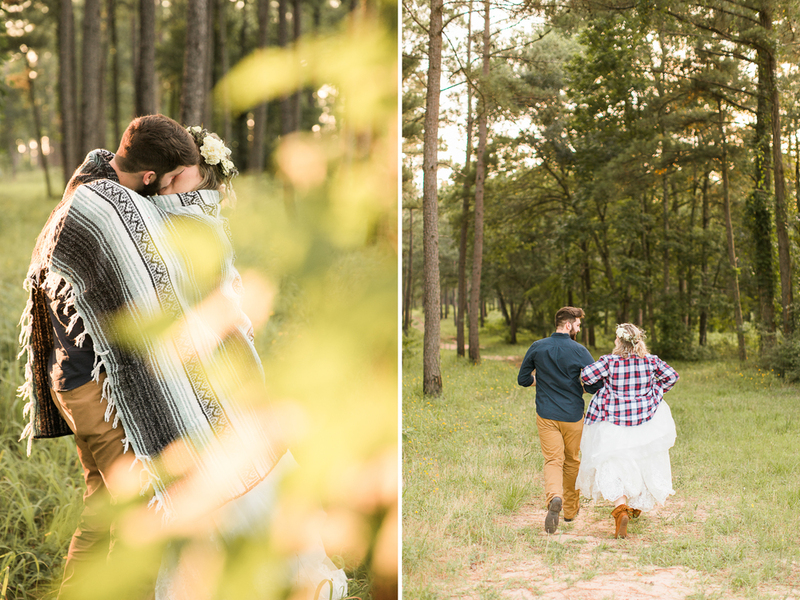 Both are so amazing and, ultimately, ending up married is what truly matters, but I think this type of shoot is a great option for couples who have chosen to go the big-wedding route but still want some intimate, outdoorsy portraits! 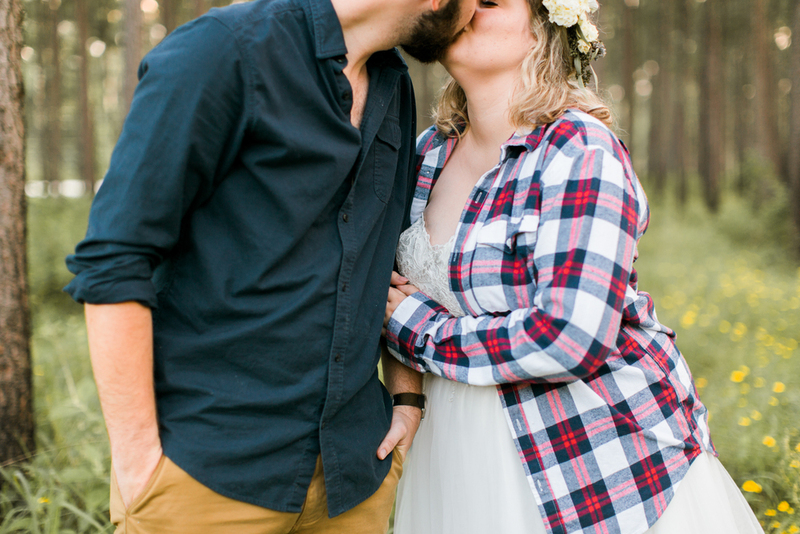 Danielle and Andrew didn't go on a honeymoon immediately after their wedding (they're going in August! 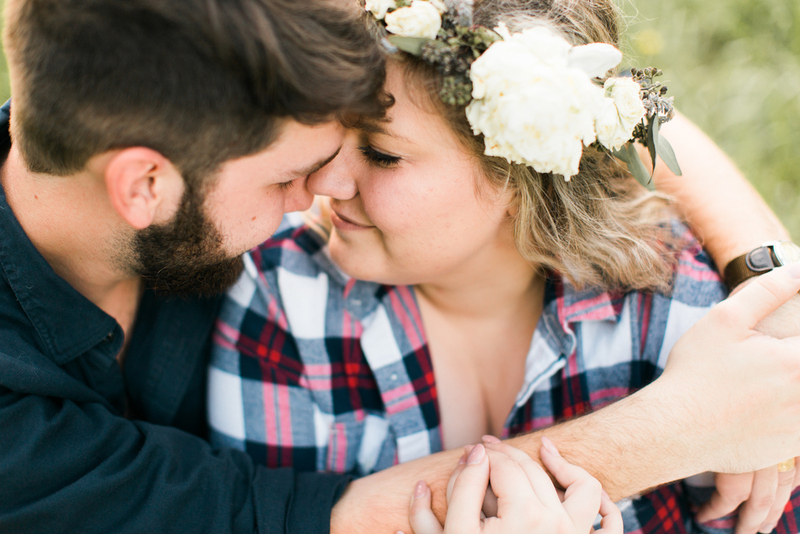 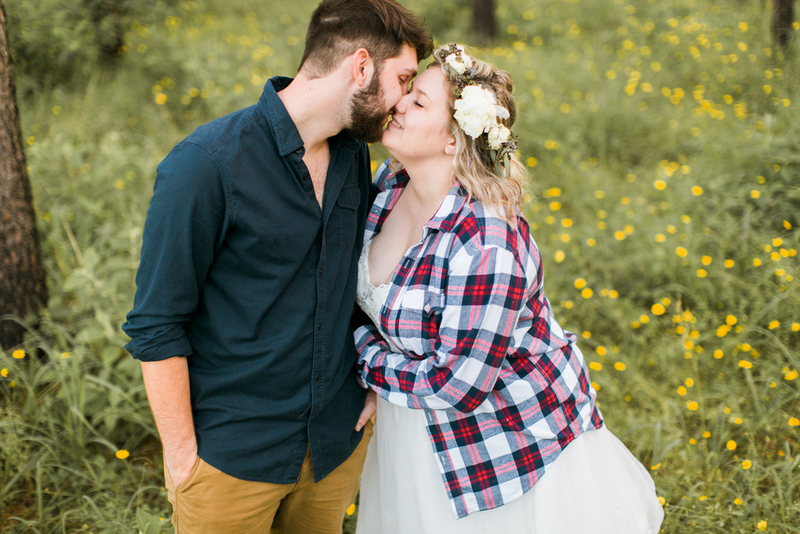 ), so we were able to shoot two days later with her flower crown just slightly wilted, but I could see this being a special shoot to do at any point in a couple's marriage - be it two days or two years later! 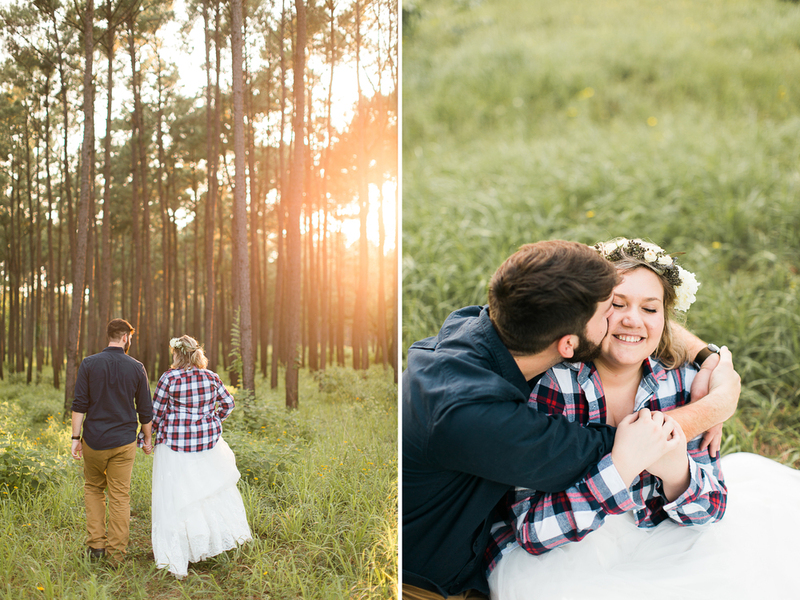 This session was everything they hoped it would be. 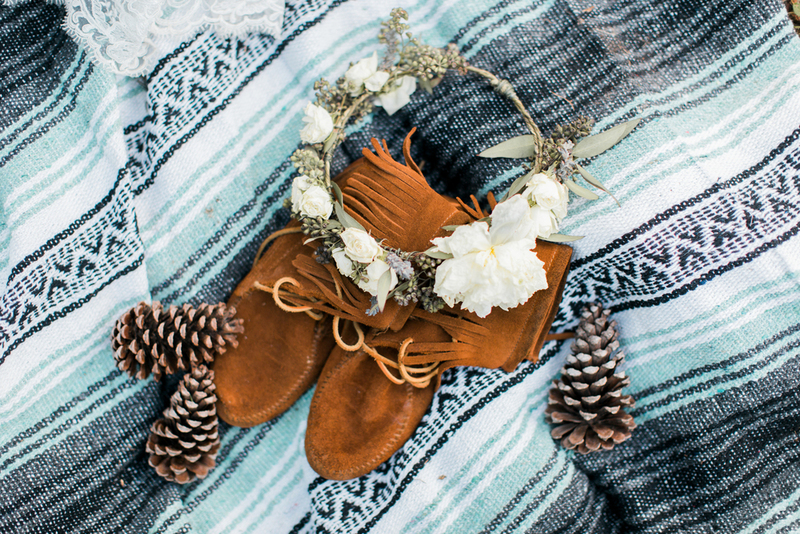 Raw, natural, comfortable and real. 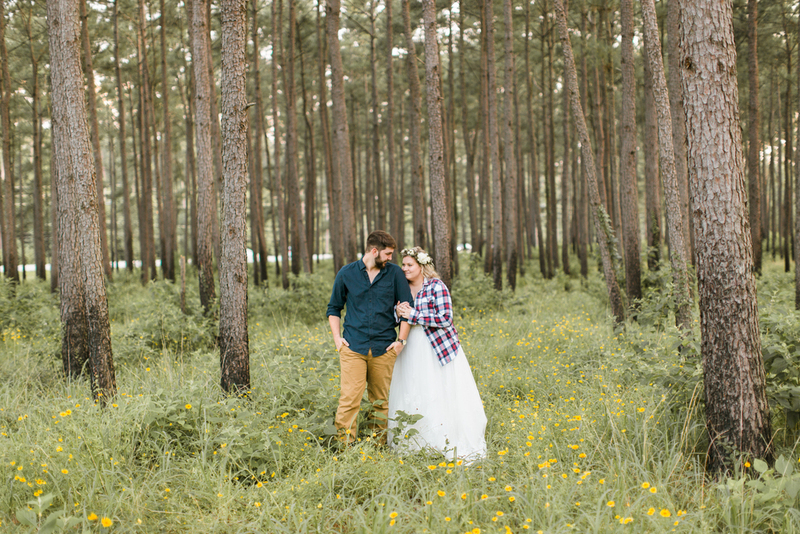 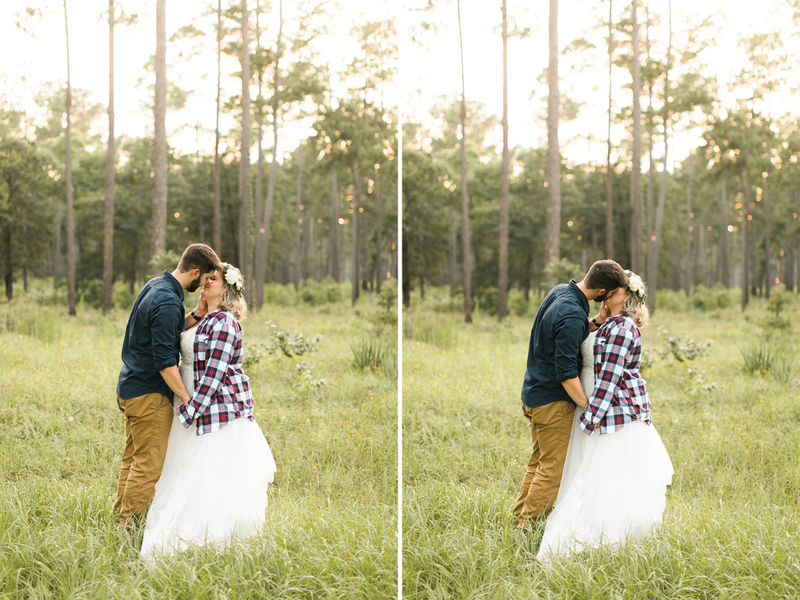 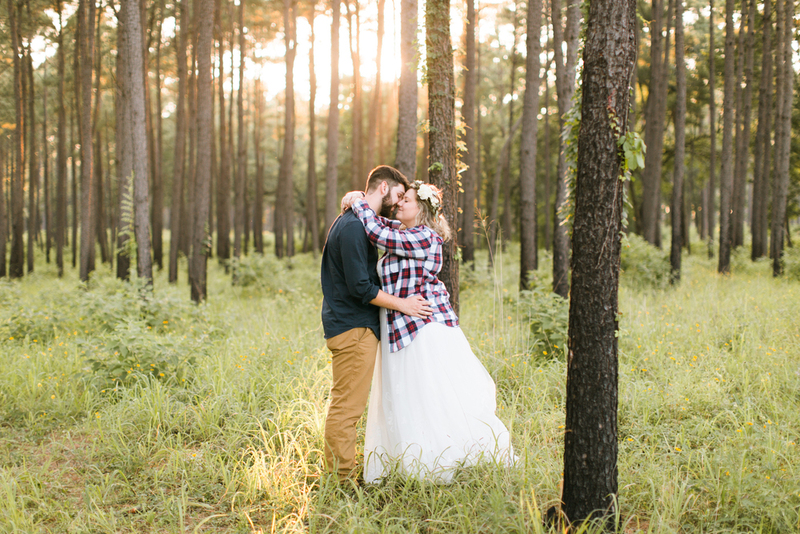 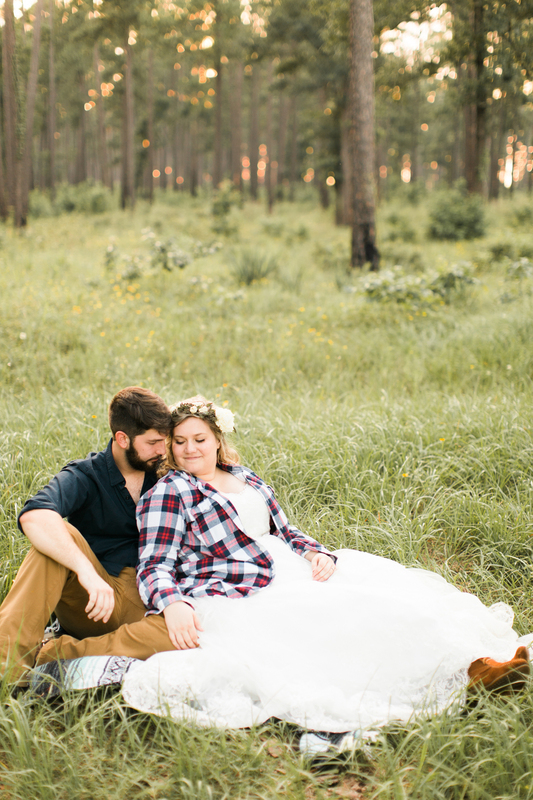 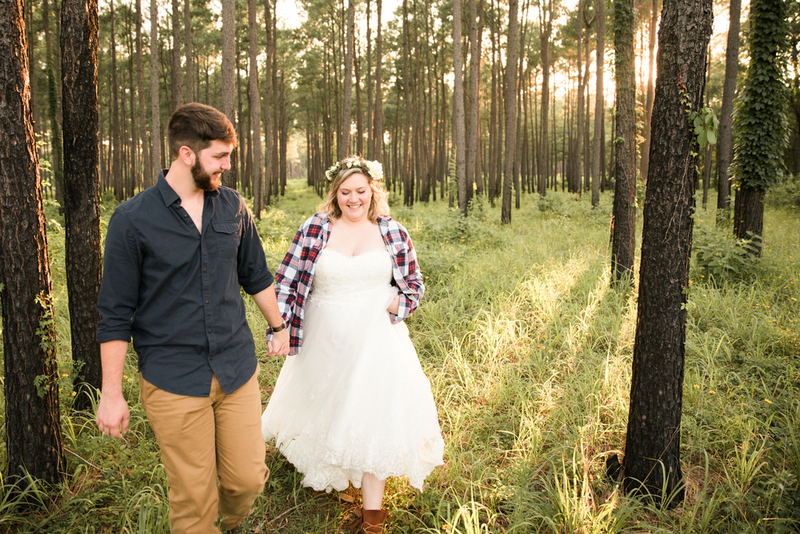 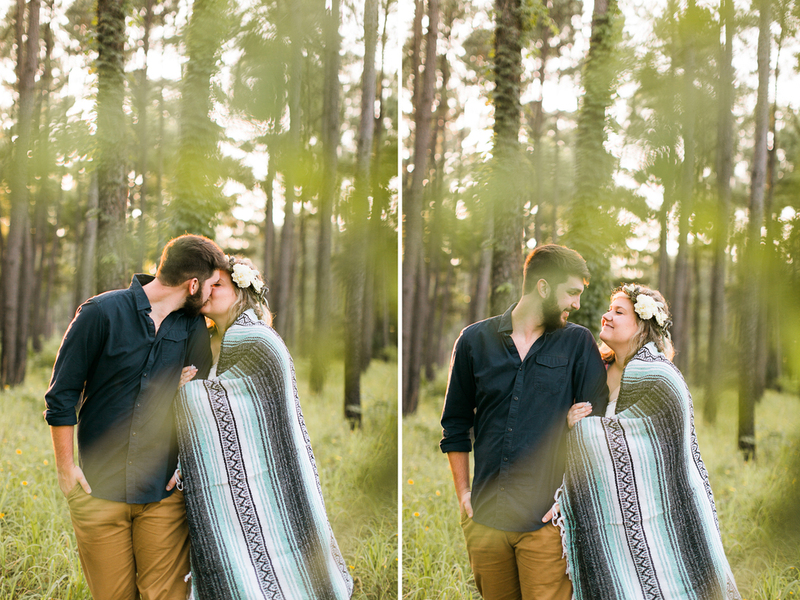 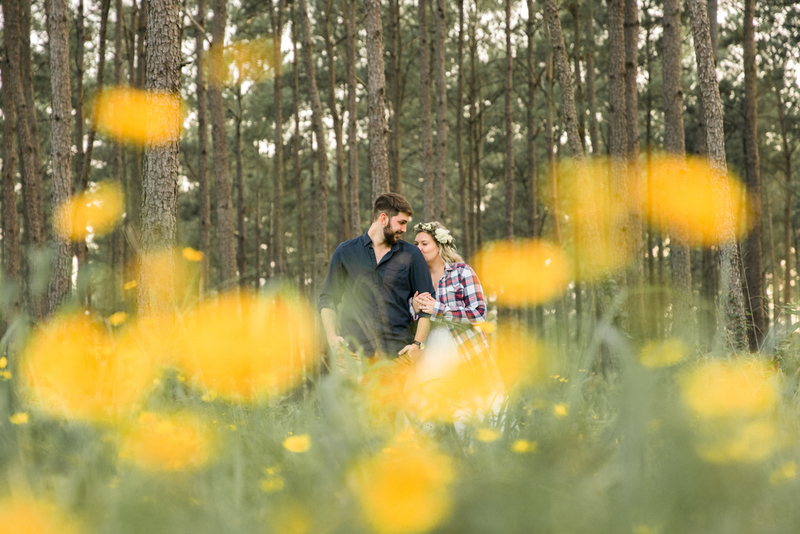 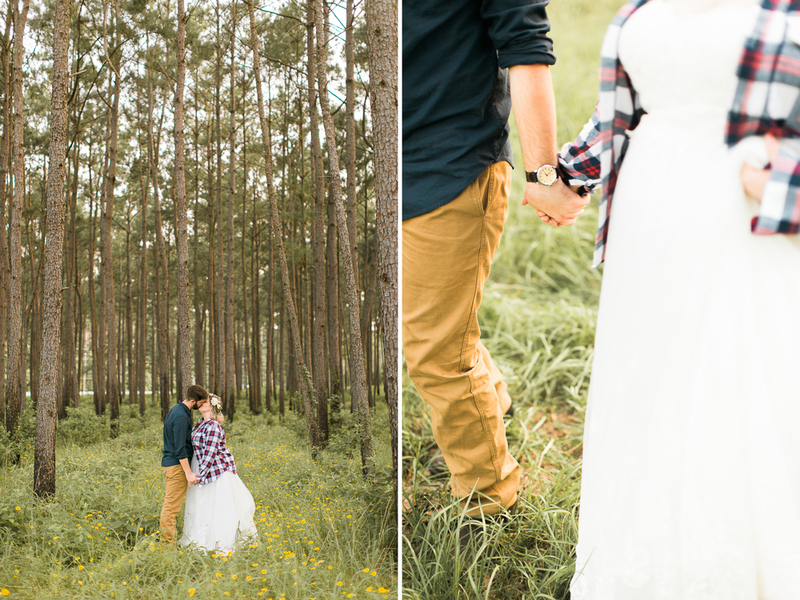 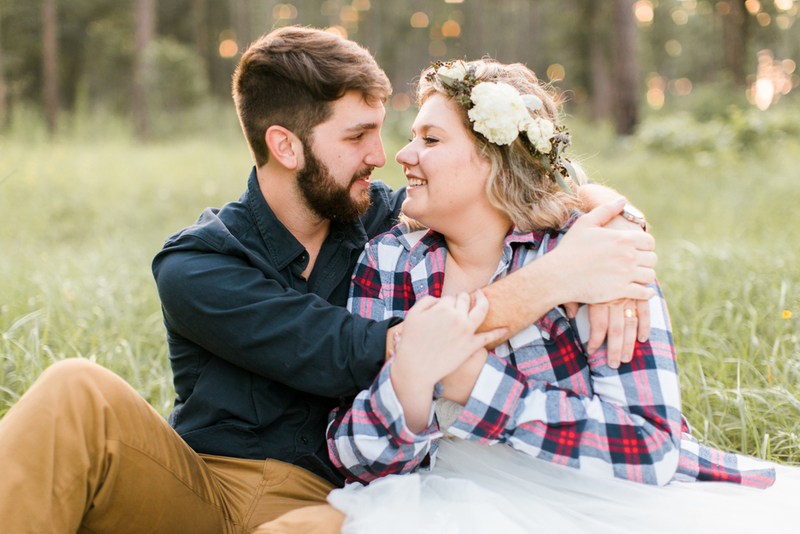 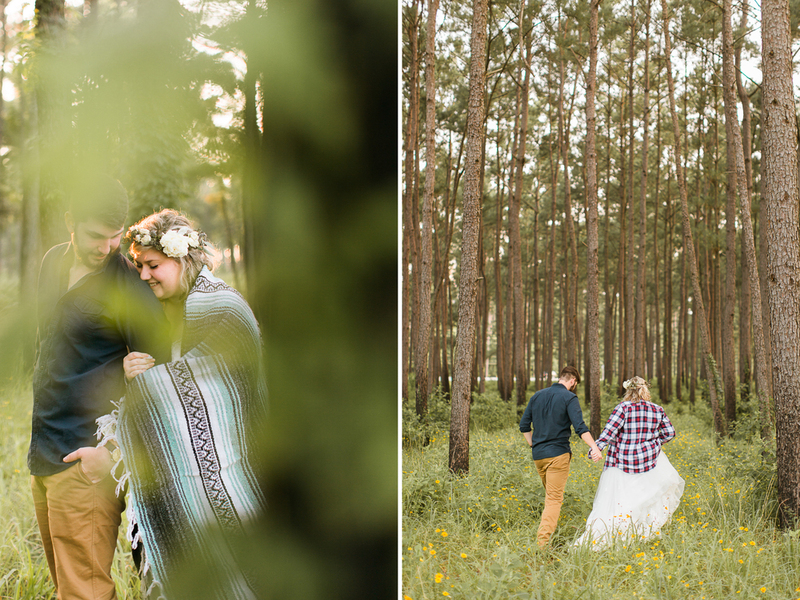 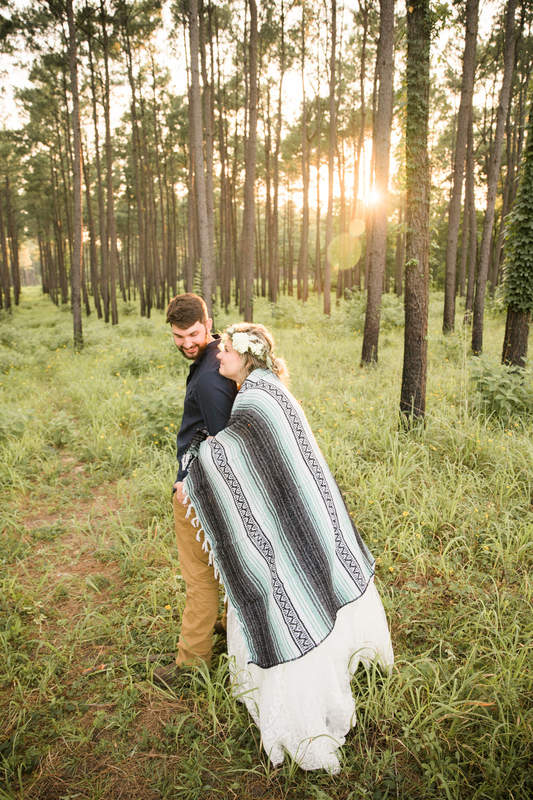 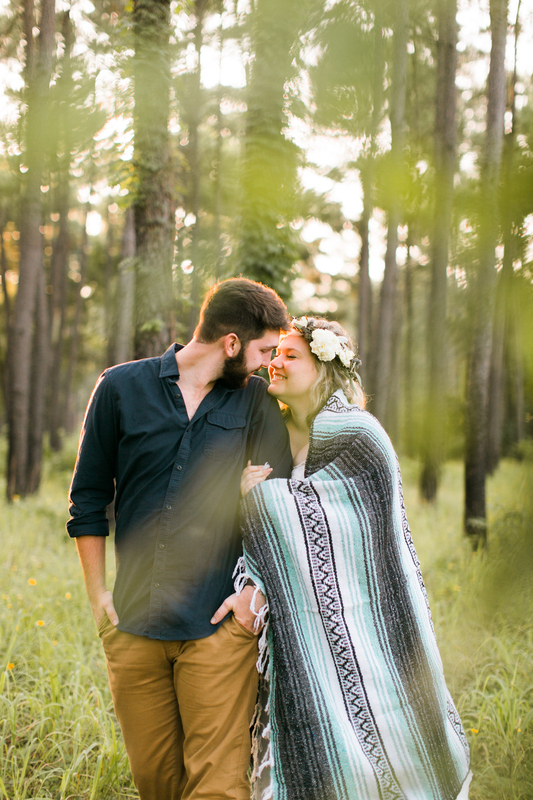 We all had a blast chasing light through the forest and they absolutely loved spending this sweet time staring in to each other’s eyes (and kissing - a lot!) 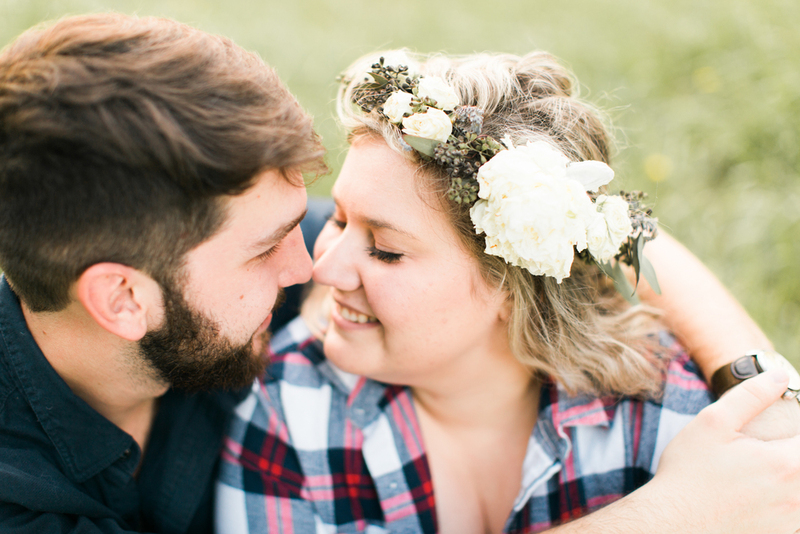 with the anticipation and stress of planning a wedding behind them.